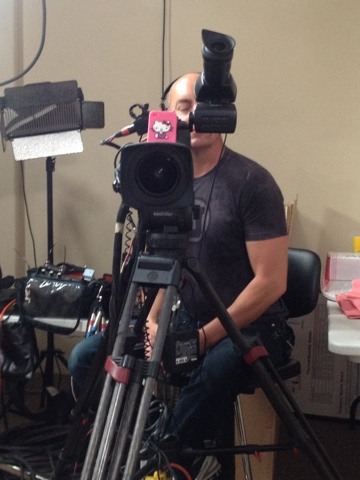 I have been filming a series of quilt DVDs this week at Handi Quilter. I'll write a full post later but wanted to show you who I have been talking to all day for the last few days. 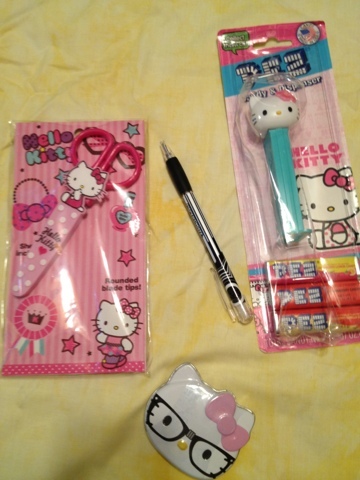 I received a package of Hello Kitty live in the mail today. My quilty friend knows me so well. I was at a baby shower yesterday for my daughter-in-law's sister. 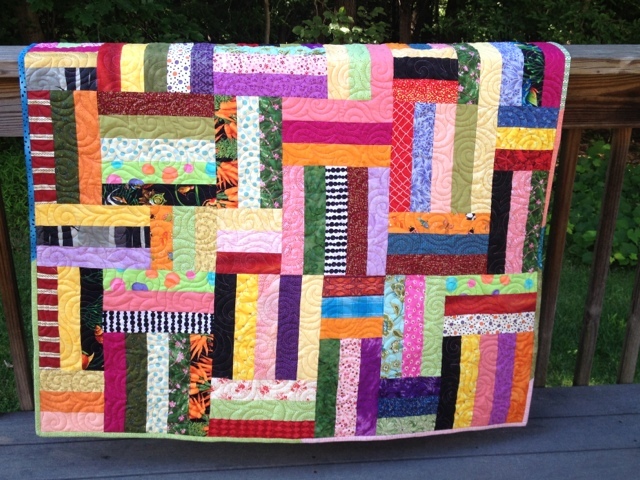 I finished this quilt, bound it, wrapped it, and put it in the trunk of my car 5 days before the shower. I think that I should get some sort of a medal for this. I was early because I was out of town and the shower started less than an hour after my flight landed at home, but still ... I was done early. 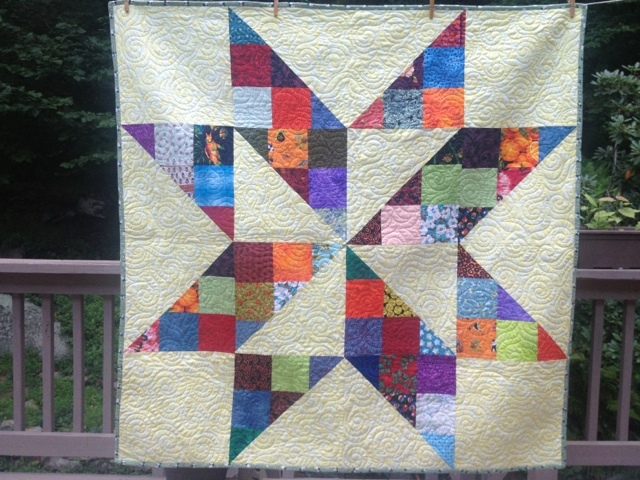 The pattern was called Boho Patchwork Vintage Star Quilt by Sweet Dreams by Sarah for Moda Bakeshop. I used fabric from my collection (sounds better than stash). 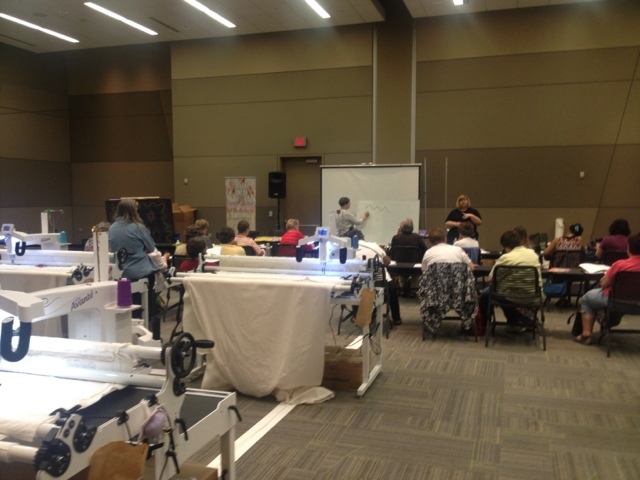 Before the AQS Quilt Show in Grand Rapids this morning, I set up the Handi Quilter classroom. Judy Woodworth was teaching and the students just loved her! After the AQS Quilt Show in Grand Rapids tonight I went to the auction to benefit Libby Lehman. I bought a hippo. 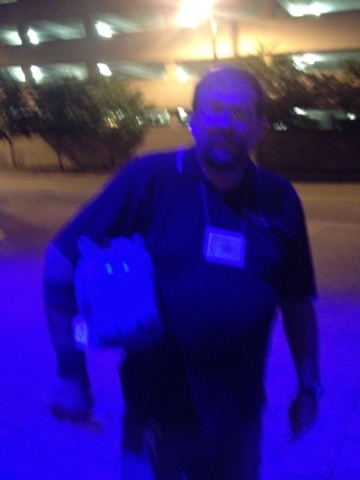 There are funky lights outside of my hotel and I discovered that my hippo is possessed. I think I like him even better now. Any suggestions for names for my possessed hippo? Stanley is my first thought. Pictures of how my day started and ended. A good day indeed. I got to spend some time tonight with Hazel, my sweet Sweet Sixteen. 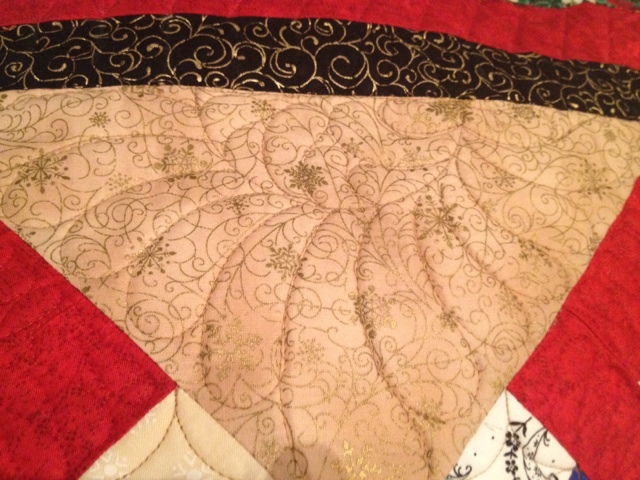 I worked for a few hours on my very special quilt. 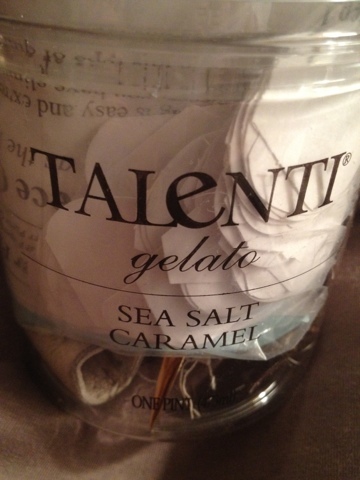 To keep the party going, I enjoyed a few spoons full of Talenti Sea Salt Caramel Gelati. It's my new best friend. After several days without wifi, 3G or cell coverage, I'm hard at work in my hotel room. I'm plowing through emails and getting things done. An hour or so later I noticed that my laptop battery was running low. 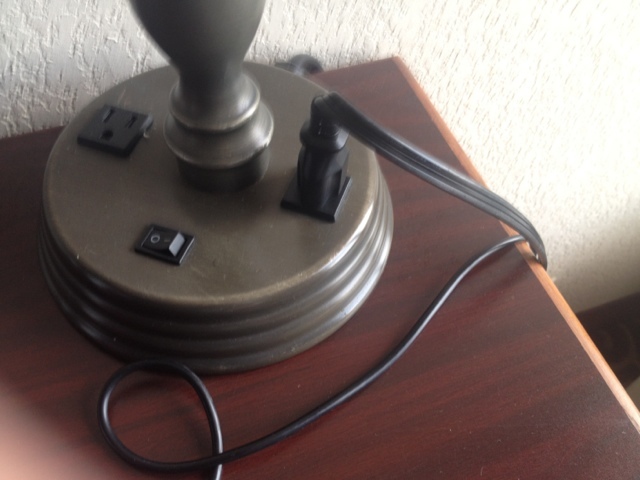 I know that I plugged my laptop into the desktop plug, so I was confused. I started at the outlet and checked all of my connections. Everything looked fine but still no power. I checked everything again. And again. I got up from my desk, hoping to find another outlet that might work. I looked down and wanted to slap my forehead. 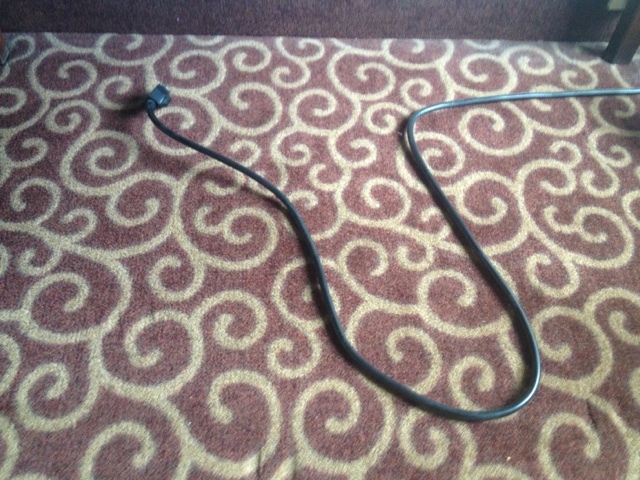 Note to self: next time check that the desktop outlet is actually plugged in. Bonus points if you can guess what hotel chain I'm in. I think you can't guess. 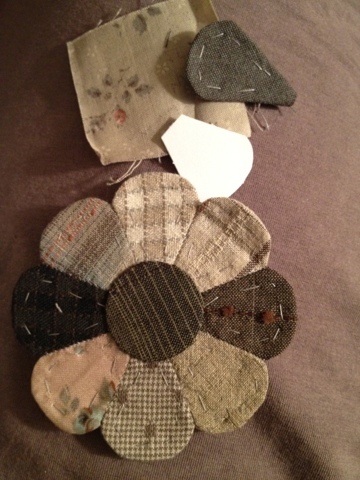 I brought along some English Paper Piecing to keep my hands busy. 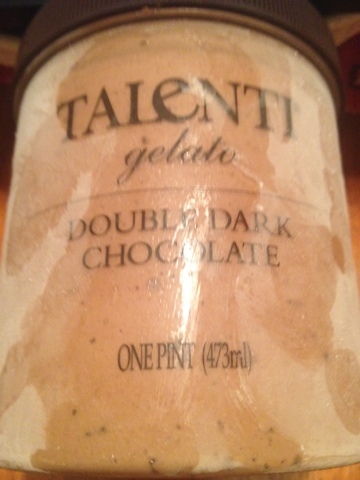 It conveniently fits in an empty Talenti Gelati container. 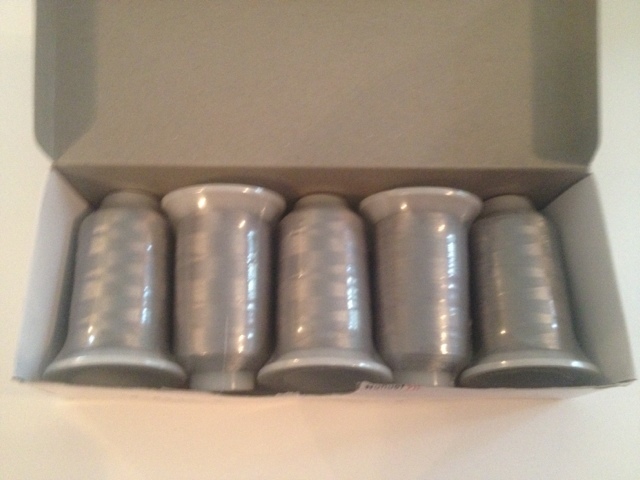 The little kit is from Pinwheels and is made of different Daiwabo taupes. 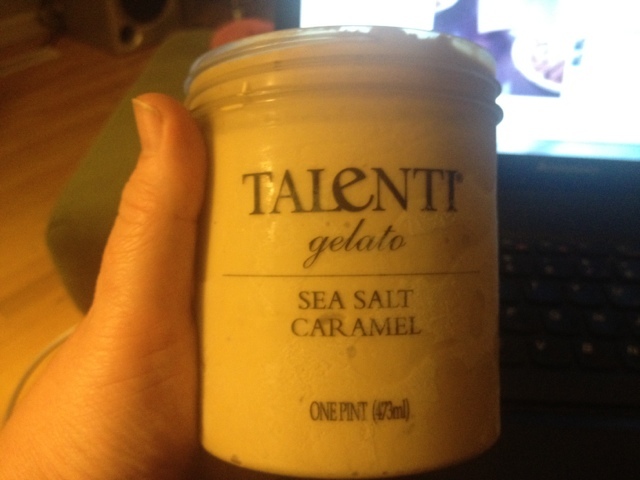 Almost as yummy as the Gelati! 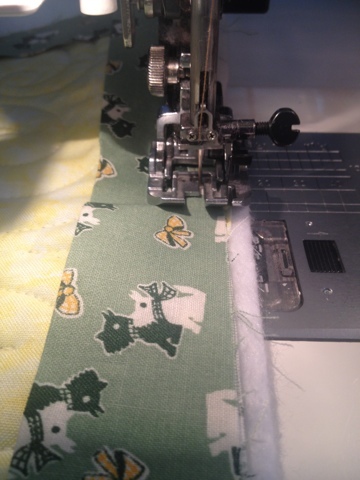 Only a little quilting today. 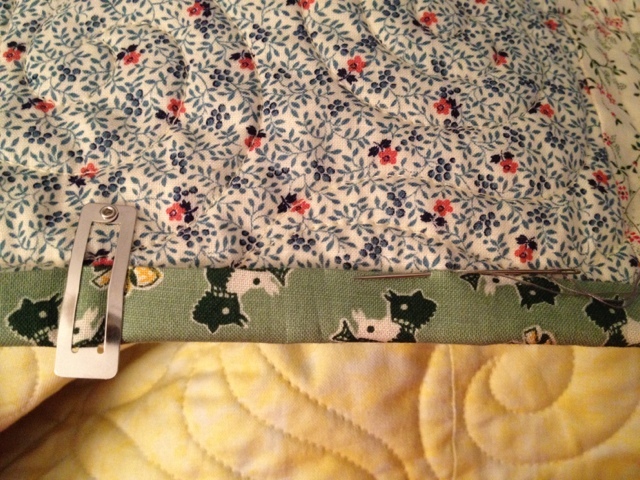 I am still working on hand-binding a baby shower quilt. 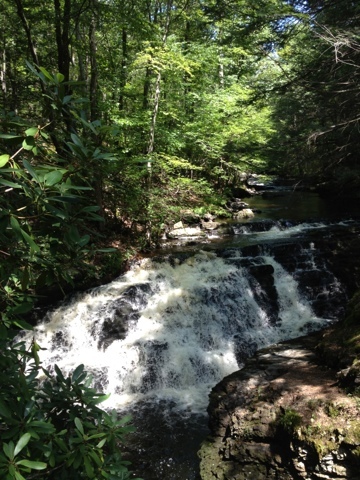 When I wasn't quilting today, I was hiking to see waterfalls. 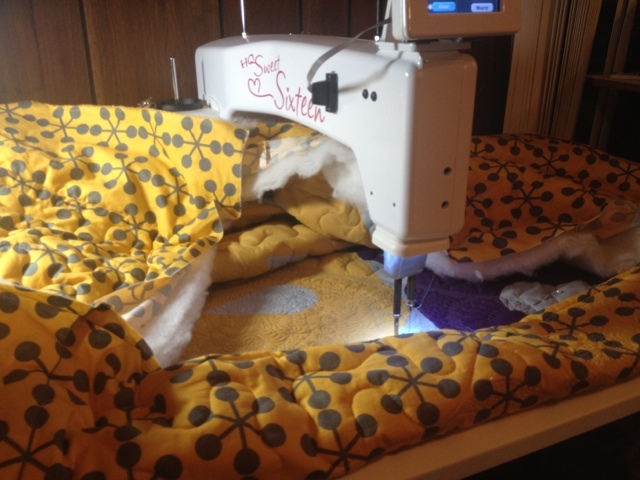 Quilting is the best thing in life but waterfalls are definitely in the top ten. I finished my niece's baby quilt. Only one year late. My niece crawled right up on it and tried to pick the carrots off the fabric. Success! 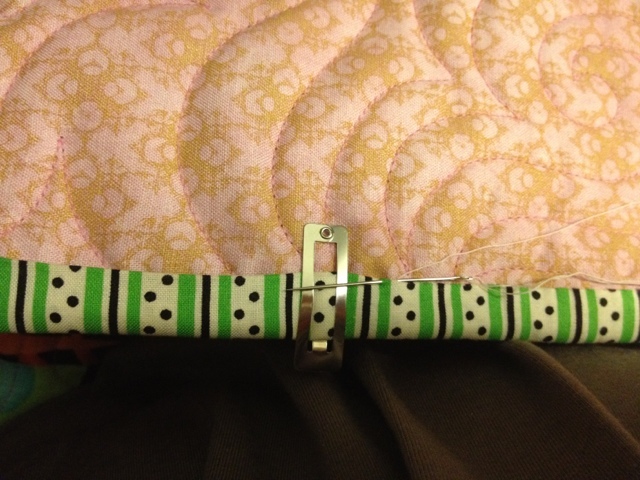 Next I started hand binding a baby shower gift. 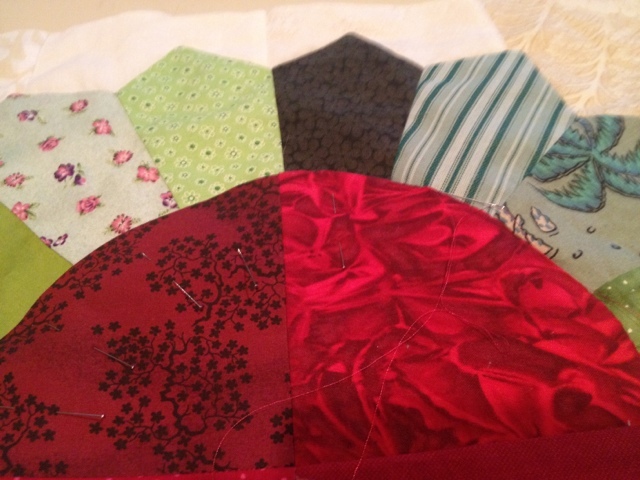 Today was a good quilty day. I spent all of today in my studio. Yay for me! 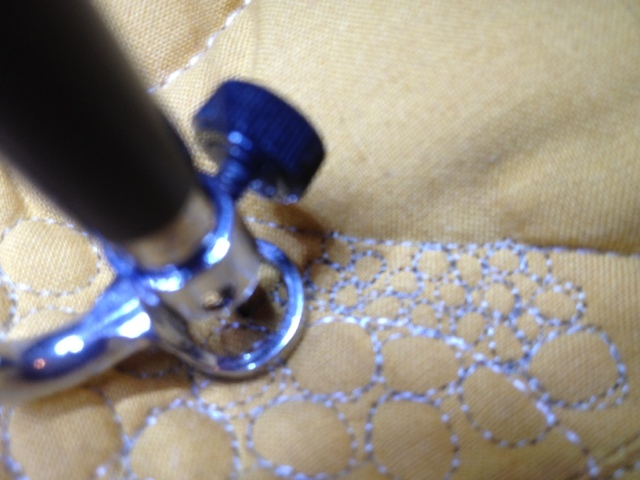 I finished a cone of thread. Am I the only person who feels a great sense of accomplishment when that happens? 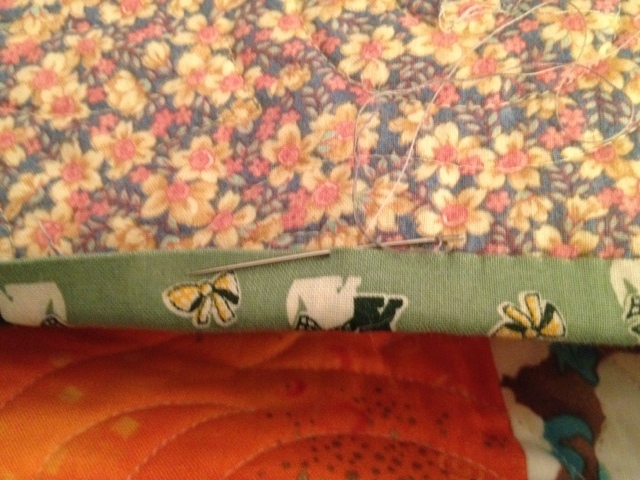 I quilted a get well quilt for a special young lady and began to bind it. I added some more teeny tiny bubbles to my VSQ. 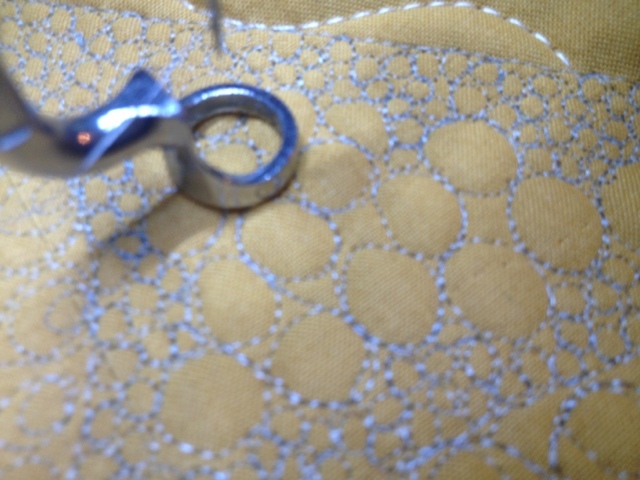 I did a little hand appliqué on an old UFO. In other words, I had a short attention span today but made the best of it. 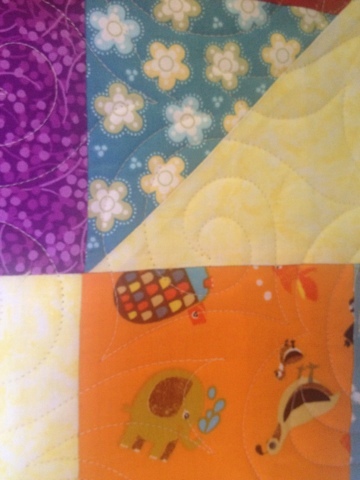 I hope your day was a quilty one. 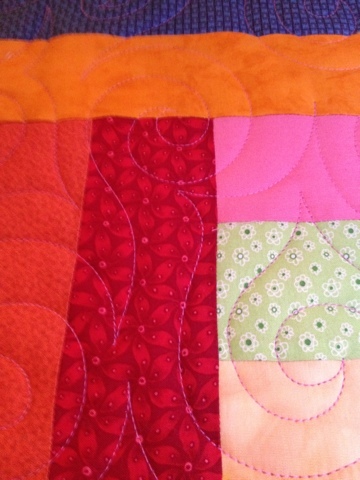 I worked on a few quilts today. 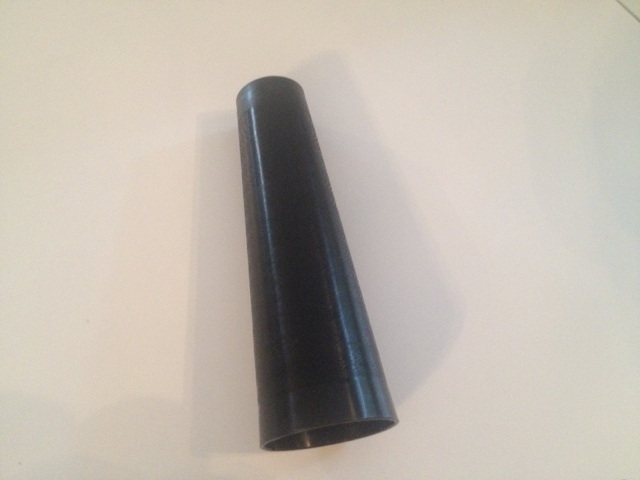 I finished one for a friend. I started to finish one for another friend. I worked on one for my niece. 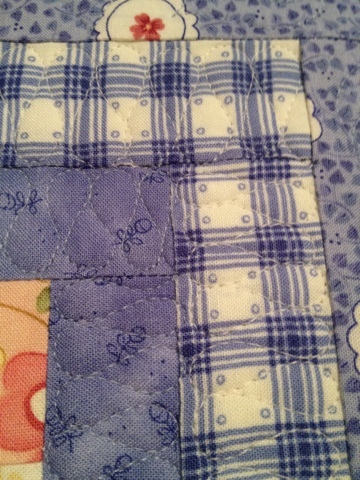 I quilted some exceedingly small pebbles on a VSP (very special quilt). 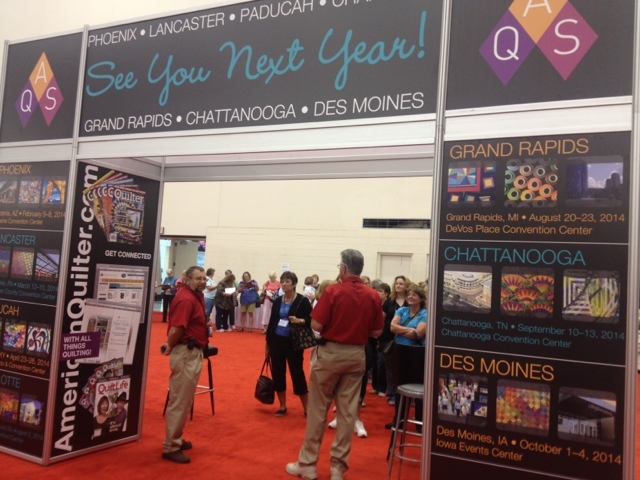 It's a great day when I get to touch so many quilts!